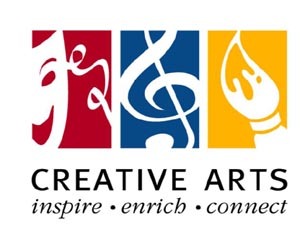 Creative Arts is a non-profit community school for theatre, music and art for all ages. Classes and events are held Inside the 1st Congregational Church. Theatre classes and workshops range from Puppet Threatre for preschoolers to Scene Study for older students. Music instruction includes private and semi-private classes in piano, brass/woodwinds, voice, percussion, guitar and strings. Visual Art workshops and classes range from drawing to pottery. In addition to the wide array of lessons, classes and workshops being offered (and more are continually added throughout the year!) Creative Arts also has plenty of opportunities to enjoy the arts - Student Performance Nights, Art Exhibitions, Jazz Night & Auction, Mystery Dinner Theatre and more.